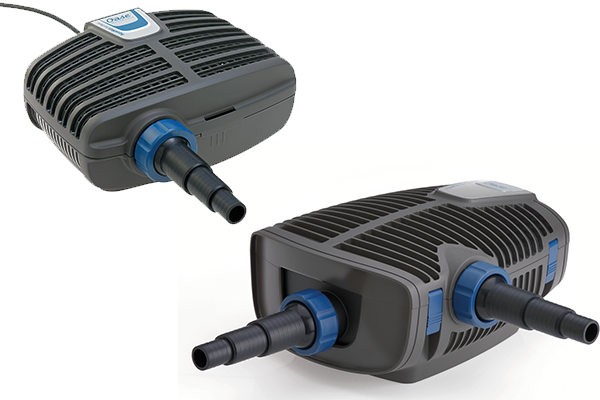 Water Garden specialise in OASE pumps and fountain technology to suit virtually any aquatic application. 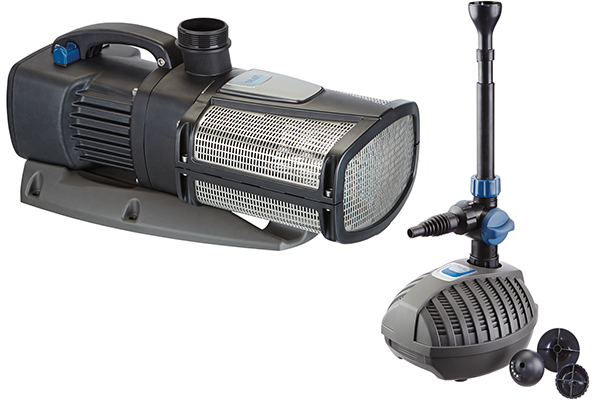 Water Garden specialise in OASE pumps and fountain technology to suit virtually any aquatic application. OASE Aquamax Eco Premium Fish pond and Koi pond pumps for filtration and streams. Aquarius Universal pumps for garden fountains, water features and a variety of pumps for swimming pools and commercial water entertainment installations. We also offer an extensive range of drainage pumps for sump, cellar and dewatering applications. Water Garden can provide an effective pumping solution for any aquatic application from our extensive selection. Different pumps suit different applications. OASE pond pumps can be loosely grouped into filtration, water feature, fountain, drainage or irrigation pumps. The word ‘Filter Pumps’ can be a little deceiving, in that many people interpret this as a pump which also ‘filters’ or cleans the pond water. However, the purpose of a filter pump is to move dirty pond water to a separate pond filter system and are able to perform this task effectively as the outer strainer casing has a number of large holes, which allow larger solid particles to pass to the filter system. Koi ponds and fish ponds will benefit greatly as the fish excrement will be passed to the filter and removed from the pond. Filter pumps (also more relevantly named as ‘solids-handling’ pumps) are also ideal for passing water to a watercourse, waterfall or stream via a flexible hose. Models such as the OASE Aquamax Eco Premium, Eco Classic, Eco Twin and Aquamax Expert are all well suited to filters and waterfalls and many are at the pinnacle of energy efficiency. Energy consumption is a key factor as pond filtration should be left to operate 24 hours a day, so the lower the wattage of the pond equipment, the less energy will be consumed over the year. If you are looking to create a decorative water display in your pond or garden such as a water jet or a tiered spray, then a dedicated fountain pump should be used. These are specifically tailored to force water directly upwards via a decorative nozzle attachment to create the desired water spray pattern. Unlike solids handling pumps, fountain pumps have a series of much smaller holes on the outer casing to prevent any debris from potentially blocking the fountain nozzle. The large strainer surface area means that the casing is unlikely to block up so cleaning is less frequent. The OASE Aquarius Fountain Pump Sets are dedicated to fountain displays and carry long guarantees. If the pond or lake water is heavily silted or too deep to mount a ‘static’ pump, Water Garden Ltd offer a range of Floating Fountains. The pump is suspended underneath a float, meaning water is sucked into the casing in relatively clear water rather than from the base of the pond so silting issues are far less of a problem. As the fountain is floating on the water surface, the depth of the water is irrelevant so can be used in deep water lakes and ponds if required or where water level fluctuations are a common occurrence. Our range of floating fountains start at compact solar powered units for small ponds and will produce a decorative display of up to 0.7 metres height, scaling up to high performance commercial fountains offering considerable water display heights of up to 16.5 metres for larger ponds and lakes. Water Feature pumps are designed for passing clean water to garden statues, stone monoliths and ornamental columns, usually via a length of flexible hose. Statuary pumps are very compact in design and have a built-in flow controller for regulating the water flow to the top of the feature. The outer casing will allow small solid waste particles to pass through yet the holes are small enough to protect the flexible pipe from blocking. Many of these pumps can be submersed directly in the water reservoir but can also be positioned outside of the reservoir in a dry mounted state, pumping the water via flooded suction. The OASE Aquarius Universal Feature Pumps are ideal for water features and carry lengthy warranties for added peace of mind. If you require a means of extracting nuisance water from cellars and basements or need to install a pumping system for flood water protection, then a Drainage pump is specifically designed for this task. The OASE ProMax ClearDrain drainage pumps can be installed in a very compact sump if needed or pulled out ready for action in flood water situations. 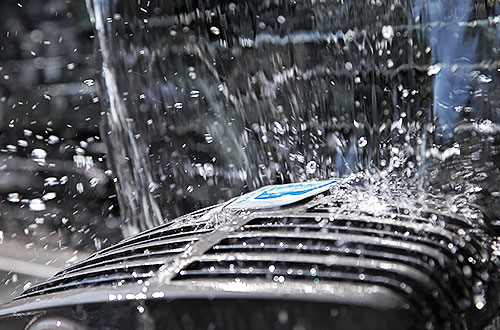 The ClearDrain range feature a swing arm float switch or adjustable sensor to automatically switch the pump on/off at the desired water level and also have a ‘puddle sucking’ capability, allowing water to be drained down to 1mm from the surface. 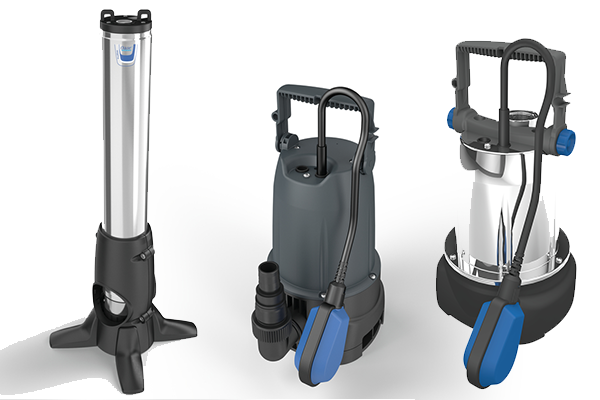 For more arduous or dirty water drainage tasks such as construction site water extraction or pond emptying, the OASE ProMax MudDrain pumps are ideal. The MudDrain range can handle solid waste particles of up to 40mm diameter and feature an automatic float switch. With flow rates of up to 25,000 litres/hour, the MudDrain can be used for large pond and lake water extraction if desired. With water becoming much more of a valued resource, rainwater harvesting for garden irrigation purposes is a simple means of utilising otherwise wasted ‘grey water’. However, in order to irrigate over distance or at higher vertical lift than the water reservoir itself, it will be necessary to use an irrigation pump to force the water under pressure to the area to be watered. 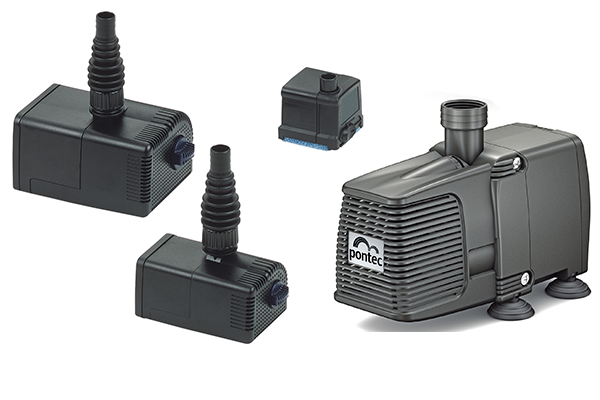 OASE have designed an innovative new range of cost effective garden irrigation pumps in the form of the OASE ProMax Garden Classic and OASE ProMax Garden Automatic Irrigation pumps. The harvested water can be connected to the pump via flexible hose and then pumped to spray nozzles or sprinkler heads at significant distances or vertical heights. In the case of the Garden Automatic range, the pump will automatically switch on once a pressure drop is detected (i.e. the sprinkler head trigger is depressed) and will then switch itself off once the trigger is released. The Garden Automatic can also be used indoors for supplying harvested water to toilet cisterns and other grey water applications.